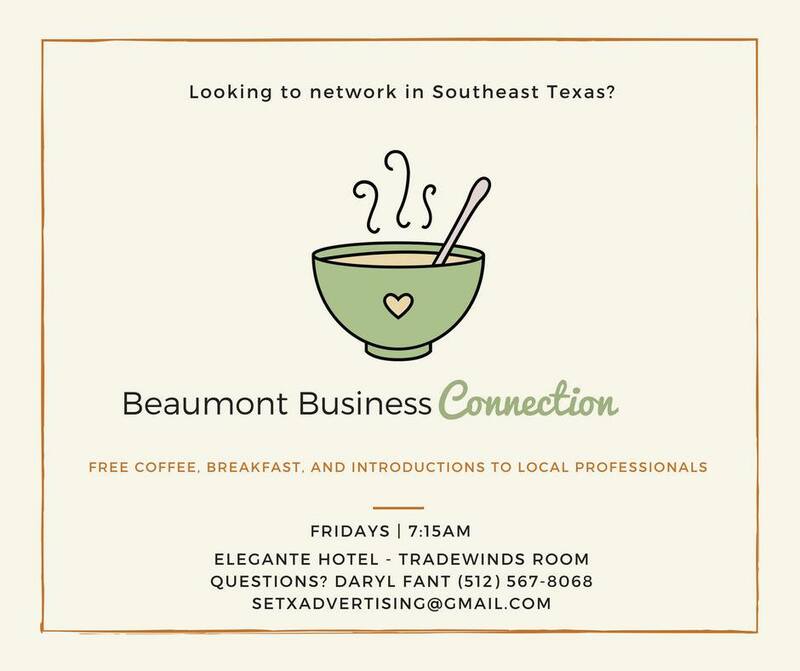 You are invited to the Beaumont Business Connection, their weekly networking breakfast for SETX business professionals. 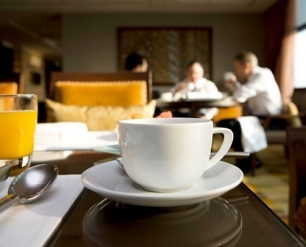 Bring several business cards – people will ask for them. The format is casual. Coffee. Light breakfast. A sixty-second intro to tell people what you do. There is a nice mix of business owners, managers, and marketing reps. I know 7:30 is early, but I’d love to introduce you to some great people. Mike Kibodeaux, A1 Filter.China, TX. Commercial AC Filters in durable metal frames. Austin Dallas, Serv Pro. Beaumont – Mid County TX. Disaster recovery & cleanup: flood, fire, storm damage. Sheri Pierce. Wesley United Methodist Church. Beaumont, TX. “Our mission is to know God and make God Known”. Daryl Fant, SETX Advertising. Village Mills, TX. Digital Marketing, Online Banner Ads, Search Engine Optimization, Social Media Marketing, Targeted Print Advertising, Custom Marketing Articles, Press Releases. David, Thornhill, SBS Systems. Silsbee, TX. Security Systems, Fire Alarms & Monitoring, Life Safety Systems, Mass Notification Systems, Highschool Scoreboards, Professional Sound Systems, Intercom Systems, Security Keypads. Please do call me with any questions.